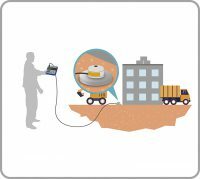 Using the Tri-axial Groundborne Vibration Meter VM-56, vibrations caused by blasting and other mining operations can be measured. The VM-56 Tri-axial Groundborne Vibration Meter VM-56 can be used to carry out measurements of vibration from tunnels in accordance the standards, guidelines and regulations applied in many countries. 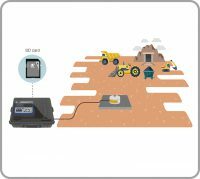 The VM-56 measures the parameters necessary for assessment of human response to vibration and it is well-suited to measuring the type of vibration which may give rise to groundborne noise (especially from underground tunnels). 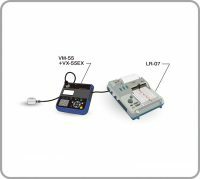 The VM-56 Tri-axial Groundborne Vibration Meter VM-56 can be used to carry out measurements of vibration from railways in accordance the standards, guidelines and regulations applied in many countries. 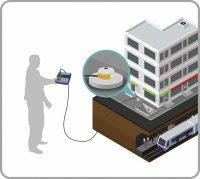 The VM-56 measures the parameters necessary for assessment of human response to vibration and it is well-suited to measuring the type of vibration which may give rise to groundborne noise (especially from underground railways).